Children’s lives could potentially be saved in the busy streets of London through the safety vests and jackets of Sasha Pinnock. Pinnock, 29 and a businesswoman, came up with the idea of safety vests after a serious scare earlier this year when her daughter, 8, was on a school trip and close to Westminster Bridge as a man mowed down pedestrians in a terrorist attack. The single mum had no idea where her child was or whether she was safe, until the teacher confirmed it. In an effort to give parents like herself peace of mind when their children went on field trips, Pinnock developed a patented design of safety vests that were reflective, water-proof, and most crucial of all, housed a GPS tracker placed inside a pocket. 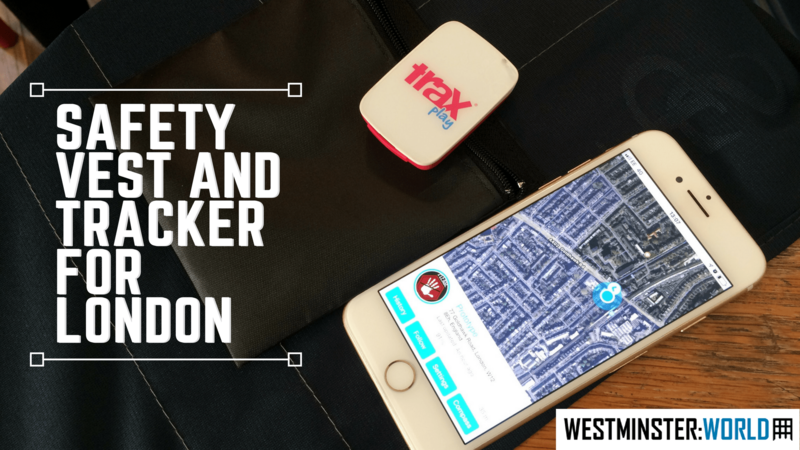 Connected to an app available on Android and iOS, the tracker would show the exact location of anyone wearing it, allowing parents to track the whereabouts of their kids. Aside from terror fears, which had built up owing to the string of attacks London experienced in recent months, the vests could keep children safe on roads everywhere, not just in the capital. The reflective design is helpful for drivers to easily spot children on the road and avoid running over them, especially when they get knocked down and cannot be readily seen. According to data from the Department of Transport, there were over 16,000 child casualties on the road across Great Britain from July 2016 to June 2017. The number refers to children aged 15 and under, and includes those killed or seriously injured. The tracker is also a critical safety tool for teachers to monitor a large group of kids on trips, as the app will make an alert whenever a student strays. Pinnock, who has long been known for her knack of innovating everyday objects, broached the safety vests project to Labour MP Andy Slaughter, who then sent it over to Transport for London (TfL). She is hopeful that TfL will sponsor her project so she can cut down costs on the trackers and make it more affordable for everyone. She has yet to hear back from Slaughter or TfL, but is hopeful for some news early next year as she formally launches in January 2018. Pinnock, who already sold 20 vests and jackets since soft launching in early November, has written to various private and public schools as well as charities for potential partnerships. It’s a waiting game for now. Aside from children, the vests and jackets are also pegged to be used by vulnerable people such as those with Alzheimer’s disease or people with disabilities. Additionally, Pinnock sees them being useful to police when searching for missing persons. The tracker, sourced from Sweden, uses a built-in SIM card to send GPS signals, but it can also connect via WiFi, which means it can operate at certain stations of the London Underground despite the lack of signal below ground. The tracker is rechargeable with a 12-hour battery life and can operate in 30 countries around the world, which is ideal for school trips abroad. Parents have the option of geo-fencing as well, which means they can set a perimeter for their children to stay in. Once they step out, the app will make an alert. The entrepreneur is also fully aware of potential privacy and ethical concerns with location tracking. But the safety of primary school children and vulnerable people is her priority. NextAI: Our Best Friend or Filthiest Enemy?